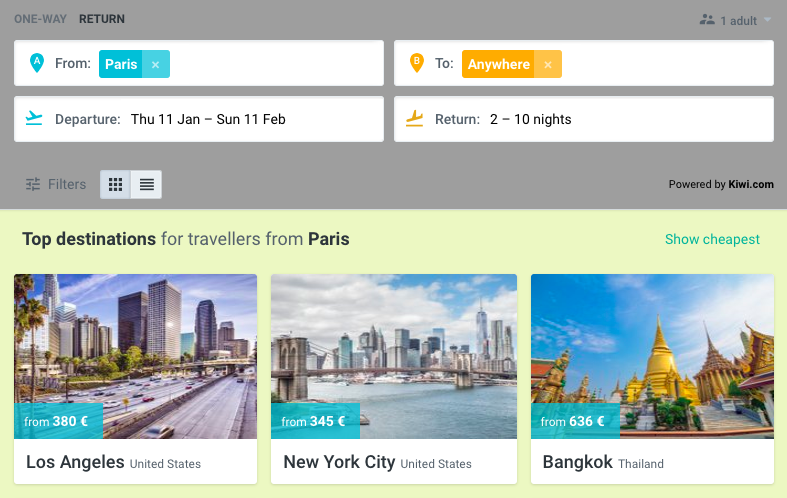 Top Commission And Madly Cheap Flights? 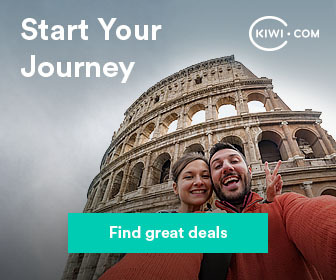 Only At Kiwi.com! 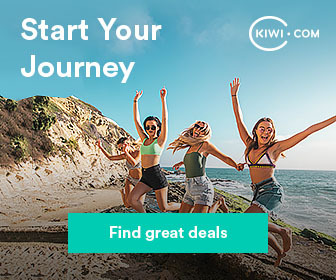 Still haven't joined Kiwi.com Affiliate Program? 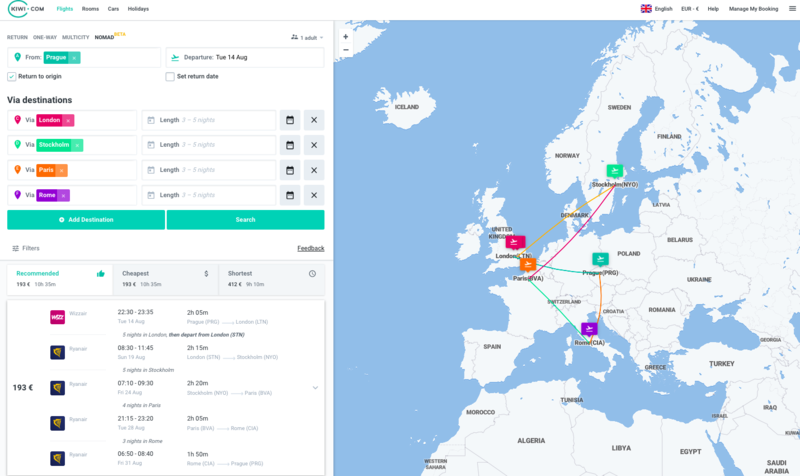 Let's jump on board and work with us! 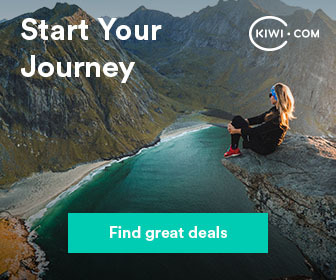 Kiwi.com is a young and dynamic online travel agency that allows you to book the cheapest flight combinations on the market. 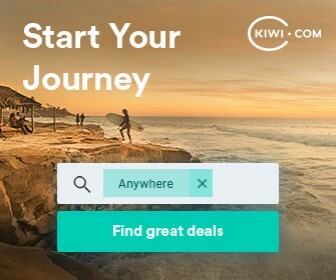 Our algorithms combine low-cost and full-service carriers and Kiwi.com Guarantee makes sure the travelers are covered in case of delayed or canceled flights. Check our profile to learn more about our rocket growth and join us today! Eager To Start Right Away? 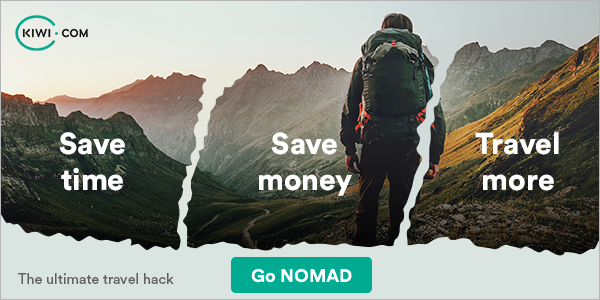 Earn Extra £10! Email us and get a £10 bonus! For every 25 sales earn an extra £25 bonus! The bonuses stack up, so bringing e.g. 100 sales in a given month means you earn 3% commission + extra £100 in bonuses!